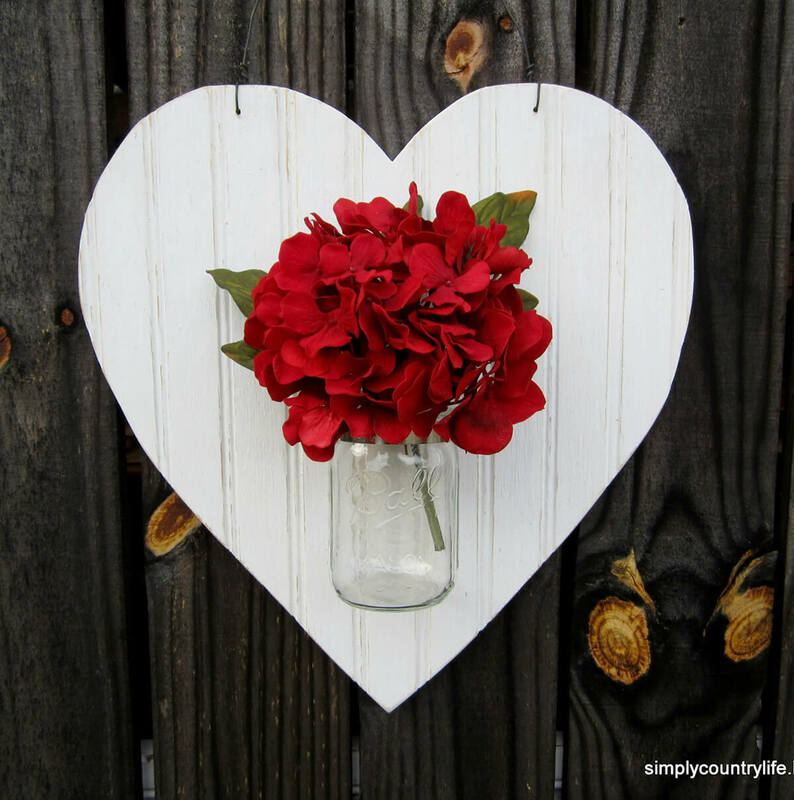 From command centers to valentines day gifts, these rustic heart projects are a great way to use pallets, unused boards and wooden slats around your home. If you’re one for upcycling, you’ll have more projects than you can handle on this list. Create beautiful crafts and useful additions around the house with virtually no crafting ability. Most of these projects require little effort, but some include specialty hobbies such as wood burning. For most of these projects, all you need is wood remnants, wood glue and for a few of these, a little glitter. But some of these projects do go a bit beyond the basics. Use these crafts as an opportunity to develop your skills, spend time with your significant other and explore new creative outlets. Whether you’re working with broken pieces, wood trimmings, or pre-made heart cut-outs you’ll have a blast! 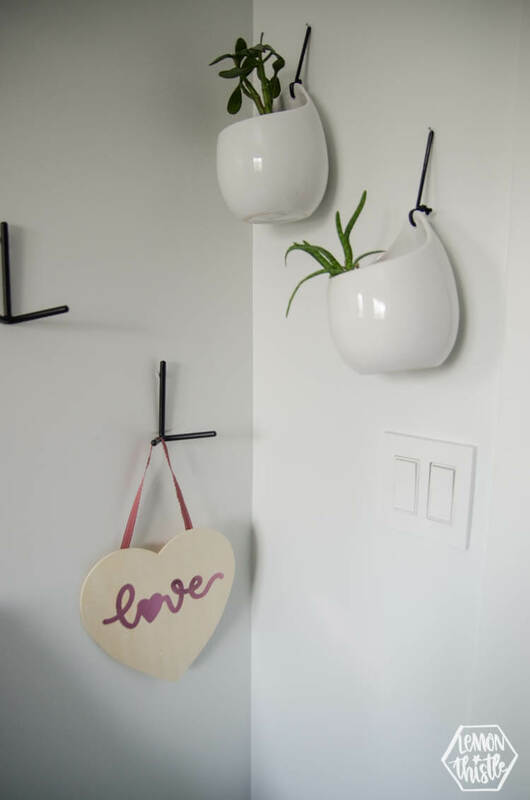 These DIY heart ideas cropping up right before Valentine’s day is not a coincidence, they all make great gifts and many of these projects serve very functional purposes as well. Anyone will appreciate year-round decor, photo frames, or command center headings. But you’ll find much more here, and will probably generate a few ideas on your own too! 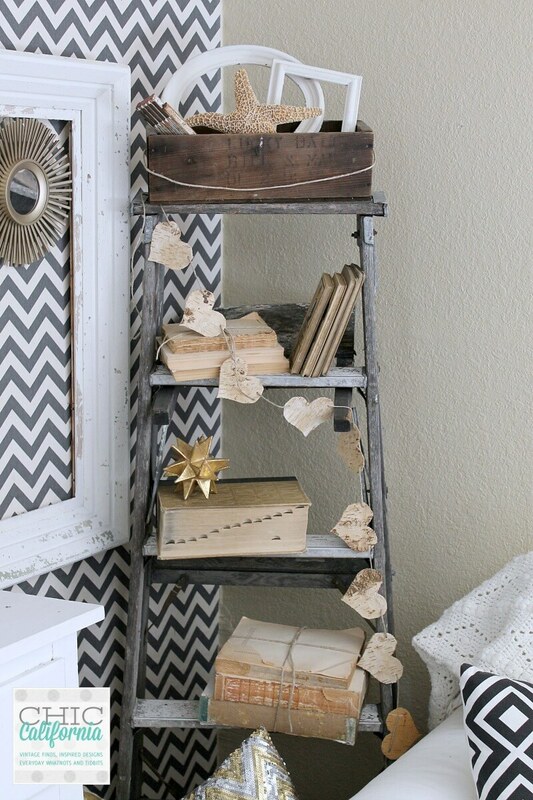 Start with leftover slats of wood and create a wonderful bookend. The pieces will fit together to depict the image of a repaired broken heart. This project is an excellent and rustic addition to anyone’s mantle or freestanding shelf. 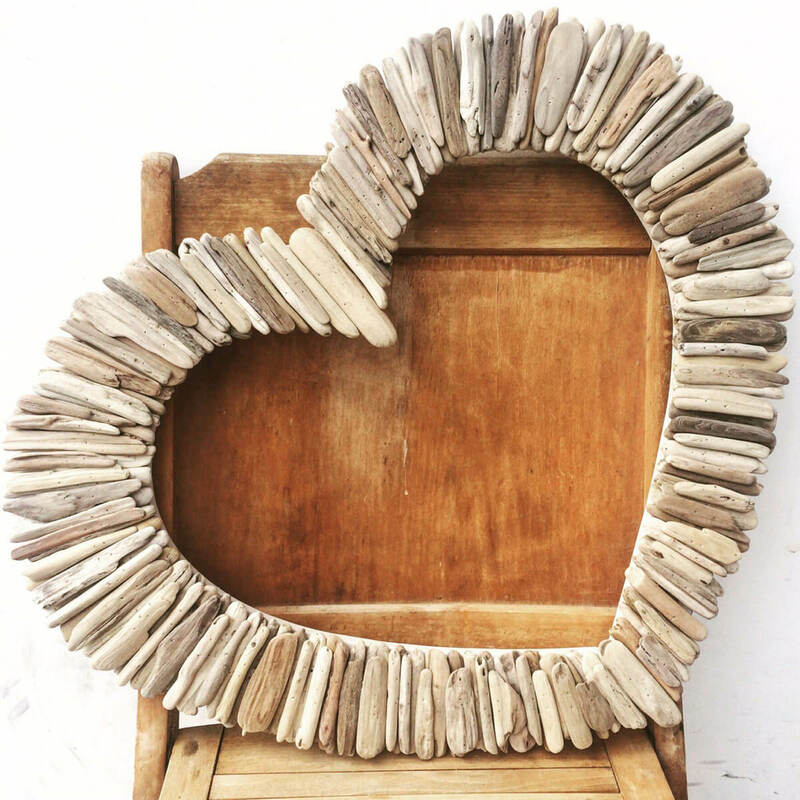 Put this heart to work holding up your books or just let it sit in a pretty display. 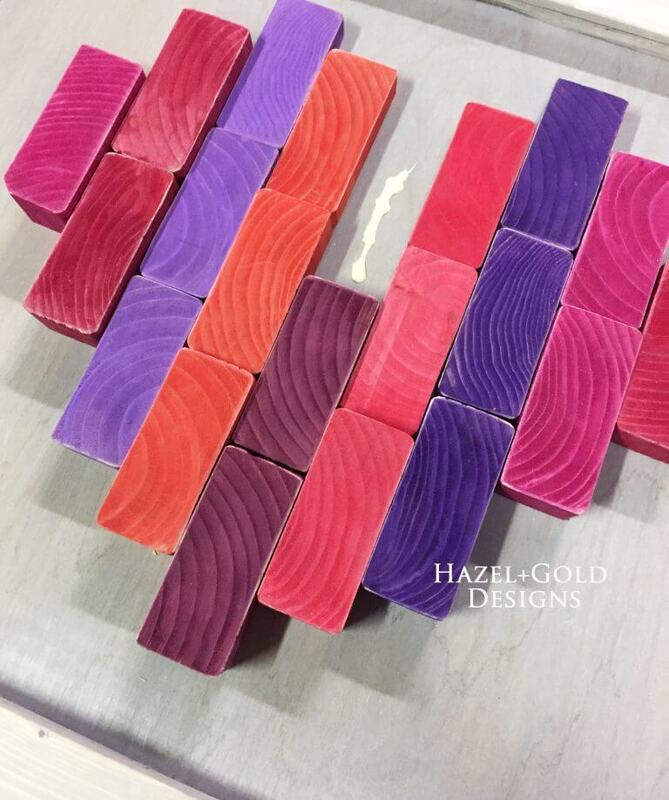 A set of pieces and layered together hearts thoughtfully sanded down to a smooth surface. 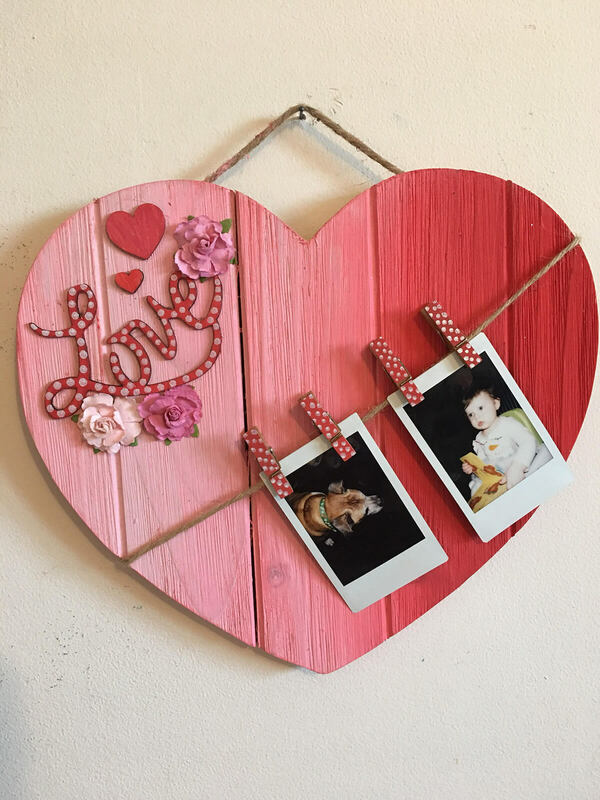 Perfect for couples celebrating their fifth anniversary, the wood anniversary, this matching set of hearts can frame accompany your wedding photos or sit near a shadow box to call attention to the day you’ll never want to forget. Or for more fun, you can use them on the table as rustic heart napkin holders standing in as the gentle reminder of your love. So you’ve taken down your Christmas wreath, and now your door looks barren. Somewhere between taking down your Christmas decorations and hanging a Spring banner on your door, you should take the time to celebrate Valentine’s day. 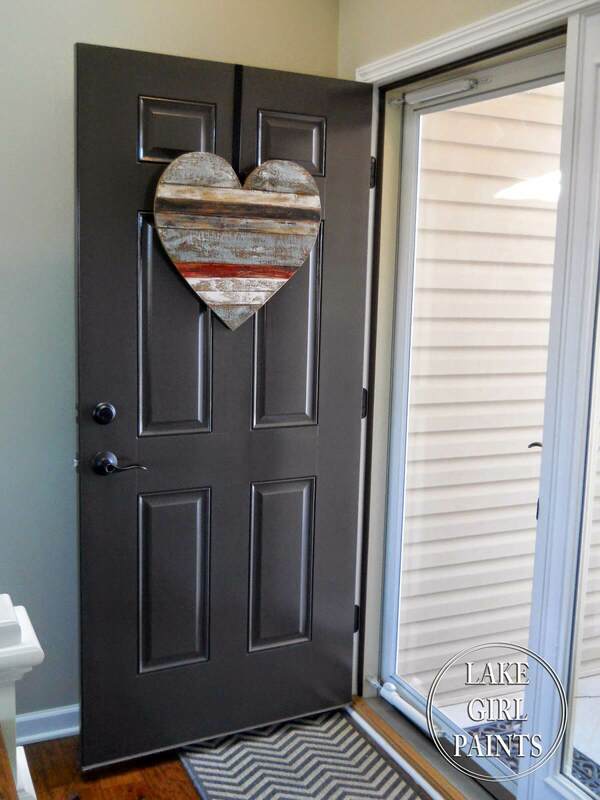 Or praise loves all year round and hand this easy DIY, layered wood door decoration. It blends easily with nearly any home exterior, and you can always customize it with different wood stains or paint. Above any command center or well-frequented door, you should have a fun reminder of the upcoming holiday. With this DIY frame reminder, your command center will brighten up. Or this can be a fun way to build hype around the holidays. Of course, rustic hearts are lovely for valentines day, but it’s a great stand-in for anniversaries, wedding countdowns and birthdays too. Anyone planning a wedding, or anniversary party has probably seen the tons of signs on wedding boards and Pinterest. 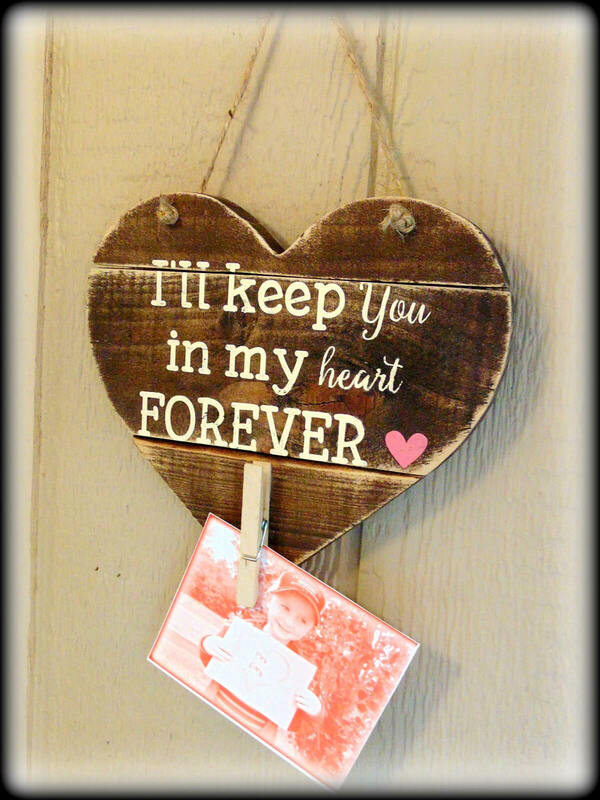 Make your gorgeous heart sign with thin wood scraps an antique frame and some ribbon. The excellent thing about this craft is that you can mix and match colors to fit your wedding theme or revive the wedding colors you used so many years ago. Do you have a broken chair or forgotten computer desk waiting to make its way out of your home and into the trash? Don’t just toss it, because the broken pieces from unwanted furniture are excellent for this DIY project. Use wood that has had smaller nails or paneling pins in it for a smooth but disrupted look. 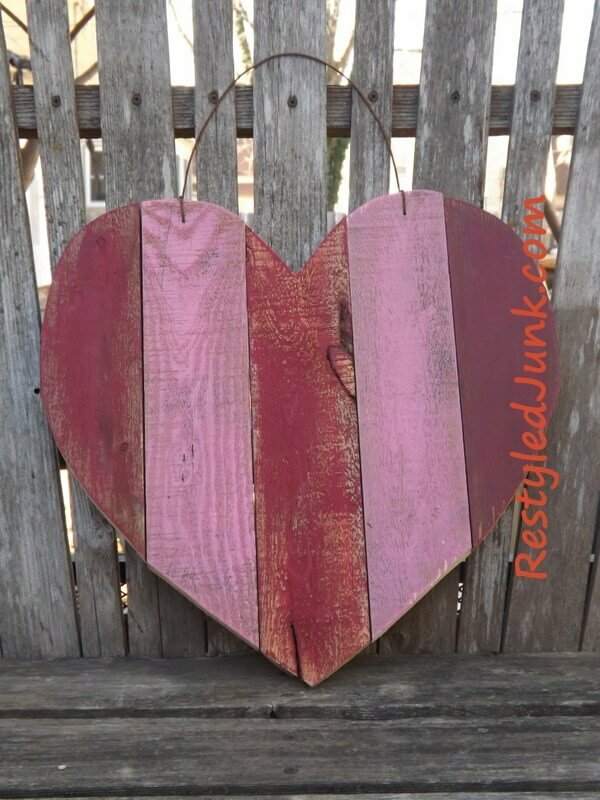 Create a heart from upcycling 2×4 planks. Dip ends in one solid color or mix and matches a few colors to make this piece fit your home’s style. What’s great about this bit of art is that you can sit down and do it with your child making it a fun event for everyone in the family. 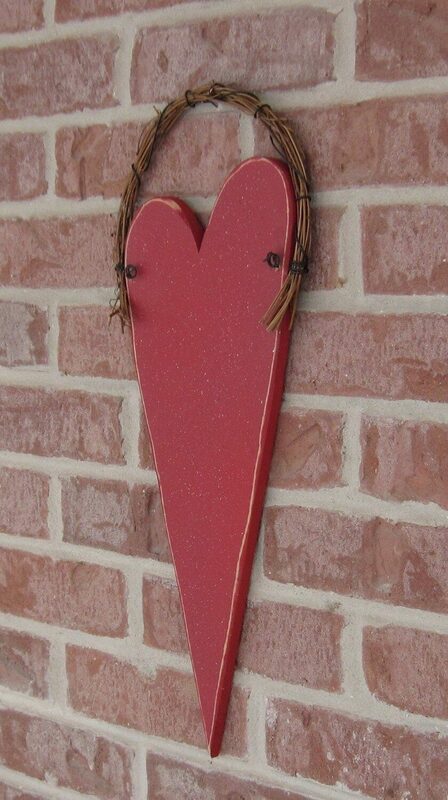 A little Mod Podge and a ton of glitter can transform any set of wooden planks into a perfectly polished bit of valentines day in your home. Don’t restrict this decoration to valentines day though when you can use it for anniversaries and even weddings. 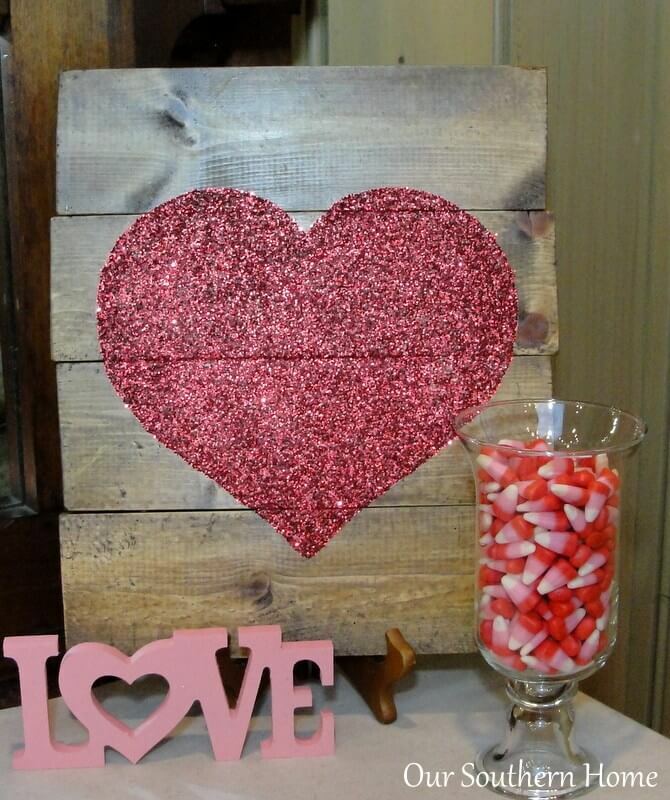 To complete this lovely rustic wood heart DIY project, add a candy dish display! Vertical planks layered together with slightly complimenting variations of the same color can create a magnificent wall decoration that takes virtually no effort. With a small drill and a few nails, you can have a lovely rustic sign like this in your home. The trick with the wire is to get the holes just large enough for the cable to fit through, then twist the wire in the back so no one can see it. 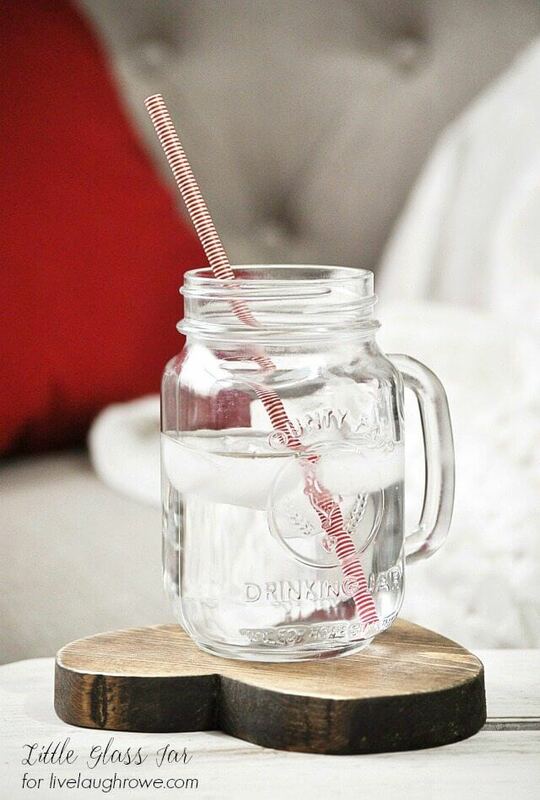 Nothing is more practical or easy to craft than a coaster. You never want to go out and buy coasters, and if you do, they’re impersonal. 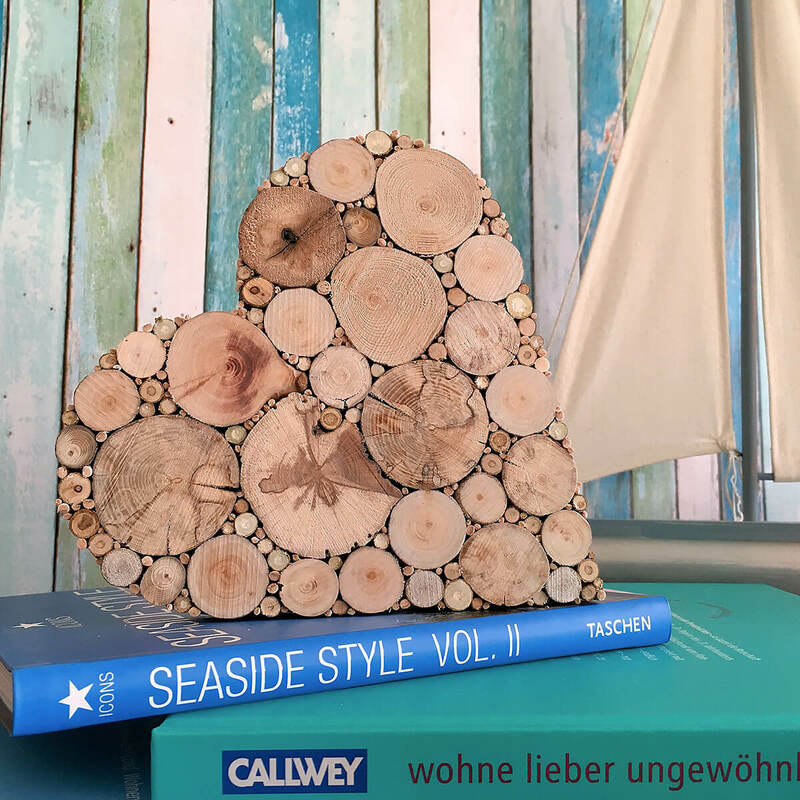 Instead, DIY a set of wooden heart shaped coasters as one of the ultimate lovely rustic wood heart DIY projects and ideas. With salvaged tree rings that you can get from any craft store you form, carve or sand your heart coasters. 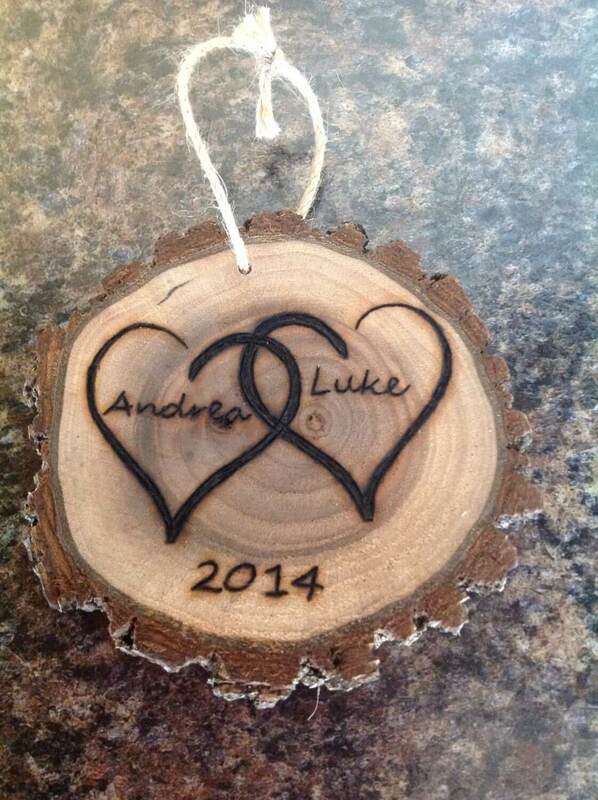 Nothing is more adorable than carving you and your love’s initials into a tree. The idea is that the tree will grow on preserving your love, but that isn’t quite how things work out anymore. Instead, find a lumber salvage yard, or find branch remnants at your local craft store and carve your initials in a tree that you can have around your home forever! 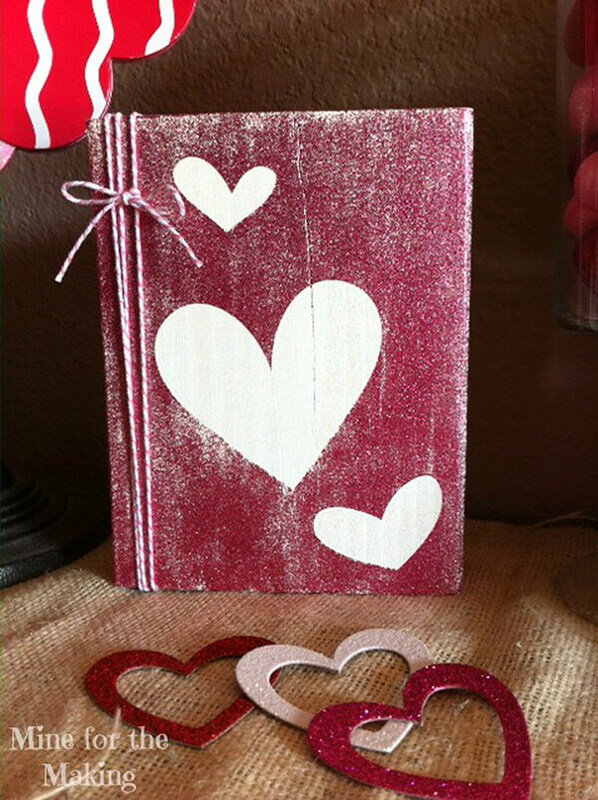 The thing that makes these rustic scrapbooks standout is their weathered stain paired with the bright white hearts. White paint over any shade of stain makes a beautiful match. The lovely aspect of this cover is that you can edge over any rings or binding with thread in a complimenting color. Your friends will be begging to find out how you created such sturdy and stunning covers. Who said wreaths should only have holly and bells. 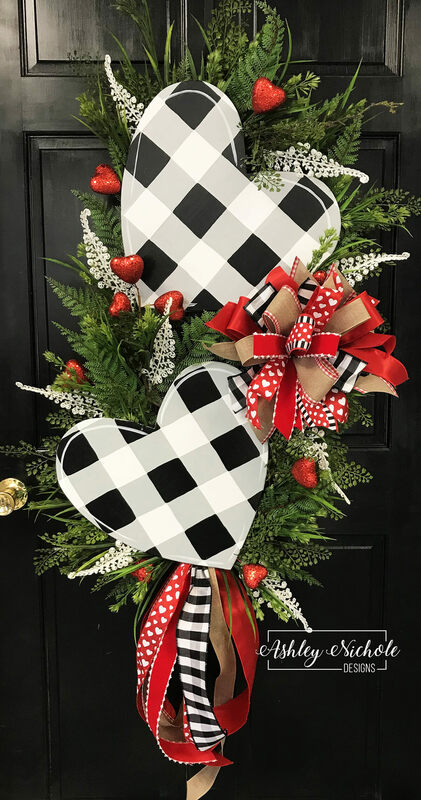 Skip that and opt for Mod Podged plaid fabric over wood hearts set into burlap and ribbon twists and pine sprigs. It’s everything that you could ever want for door decor. The pine sprigs make this an excellent wreath to use through the Holiday season and straight through until March. The plaid is an excellent contrast to the burlap and ribbon! Using a simple mounting bracket, you can latch a traditional style mason jar onto a wooden heart sign. 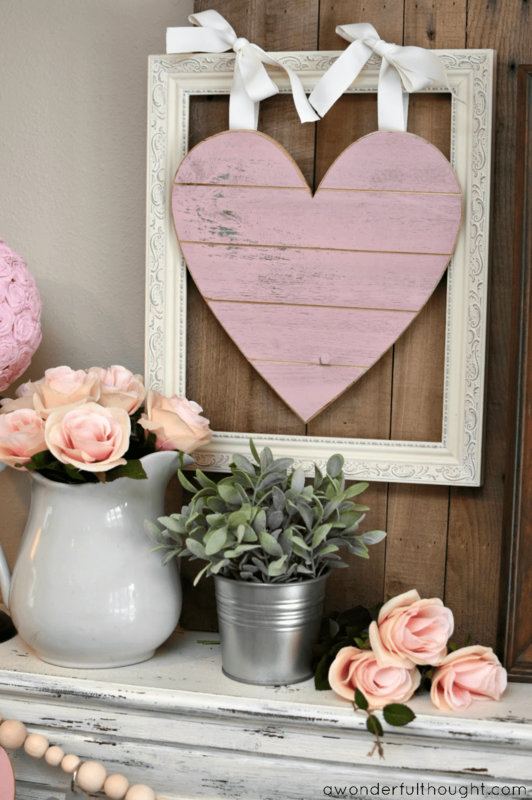 Combining some of the earlier projects you can start with a very simple wooden heart sign and then mount the jar to the front as a vase that takes up no table space. We’ve seen a few wooden signs, but the blending of wood slats with a script is classic. It is essential when taking on this craft to get the stain and paint color’s perfect contrast. A dark stain works best and stands out on white walls and that works perfectly with white or ivory paint. Always trace your letters in pencil before painting! 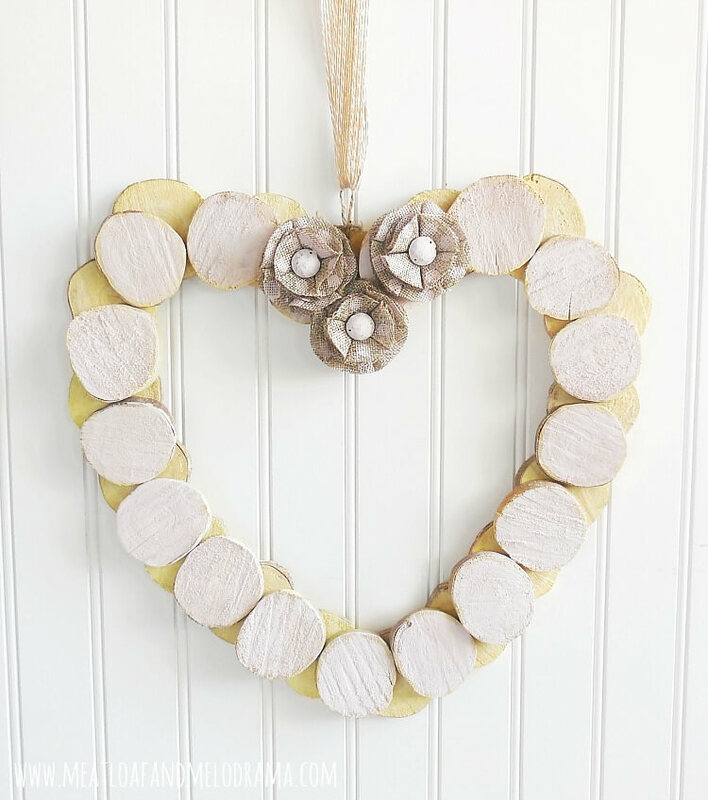 Among the many lovely rustic wood heart DIY projects and ideas, this garland stands the test of time. 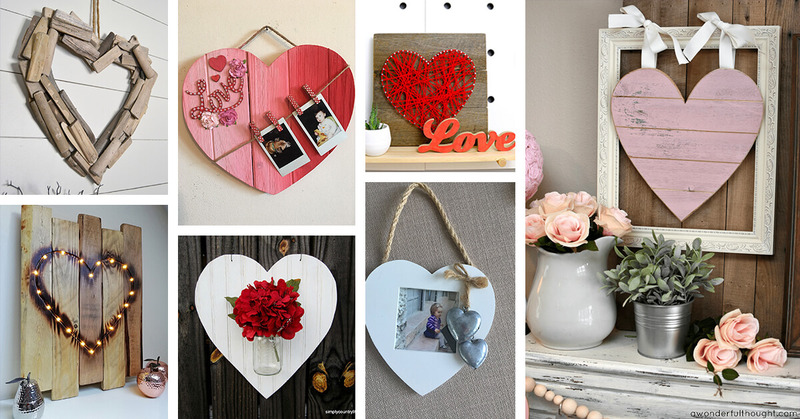 You can find wood heart cut outs and thick woven thread at nearly any craft store. But the fun comes when you get to make this heart garland your own. Use their blank space to mark your special dates, names, or fun words that will trigger memories for years to come. Make a sign for any nursery or children’s room on your own. This DIY is much easier than it seems at first and working on a larger scale means that mistakes are far less likely and that you’ll have fewer wasted materials! Mount this giant sign and use small pom poms or braided thread to accent the underrepresented colors in the piece. 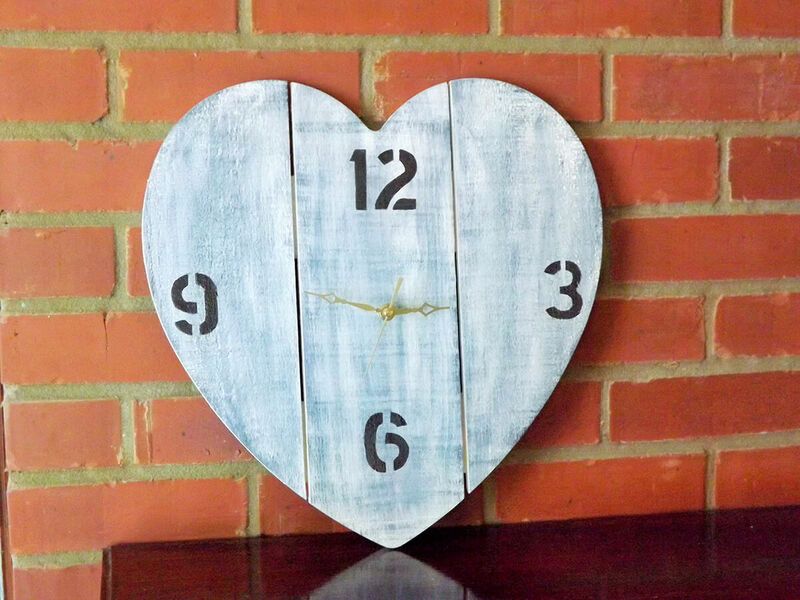 Clocks are surprisingly easy to make on your own, and many craft stores have a variety of mechanism and arm packs, so all you need to worry about is the wood. 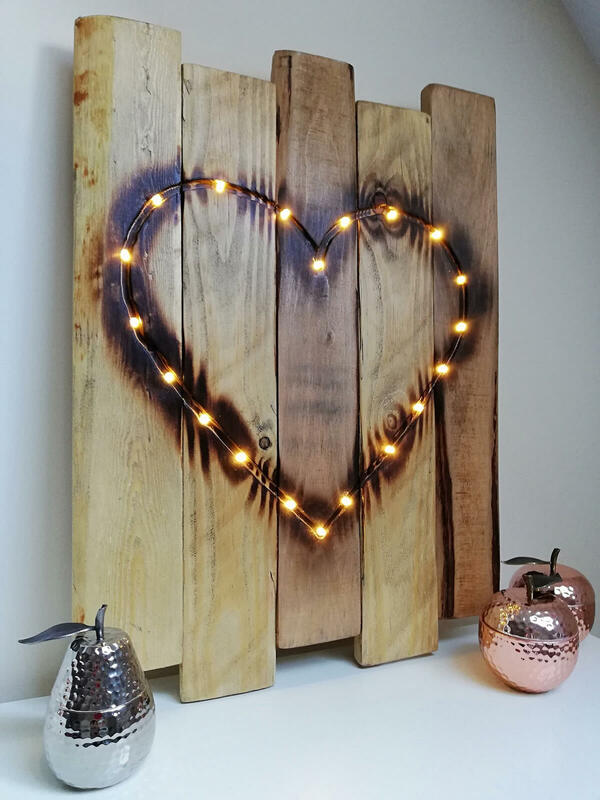 Then with the advancement of popularity with string art, it’s likely you can find a beautiful heart shaped wooden pallet ready for you to make your own. 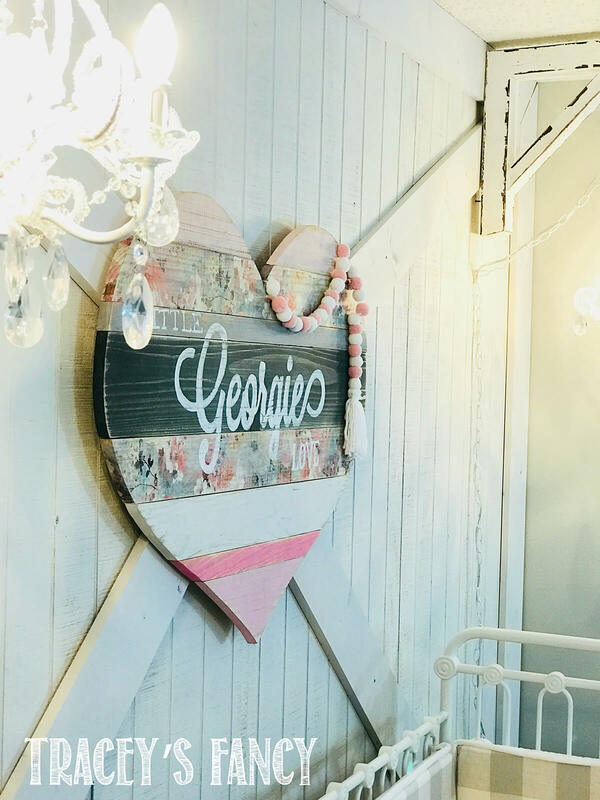 A touch of ribbon and the remnants of a watercolor project from long ago can leave you with a stunning wooden sign just in time for valentines day. Blend three tones of watercolors for an amazingly bouncy effect with your lettering and let your love be known throughout the house! When you’re at the craft store, there are usually large bags of small tree rings, and this is the perfect project for them! Hot glue tree rings into three tiers and makes it a truly special wood heart project. Because this project can take some time, be sure to include a child or your significant other and make it a fun experience! Top it off with some burlap roses for the ultimate rustic charm! String art may be the ultimate easy DIY project. Always use very short nails, you don’t want them poking through the back of the wood, and then have fun winding thin yarn or thick thread all around your art! 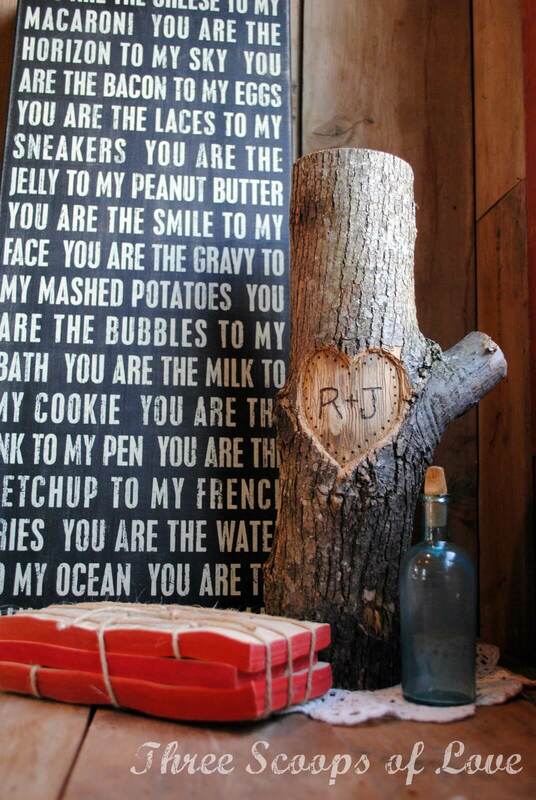 The red string of dark wood is perfect for valentines day, but crafts are for customizing. Create your rustic charm without the use of traditional antlers. 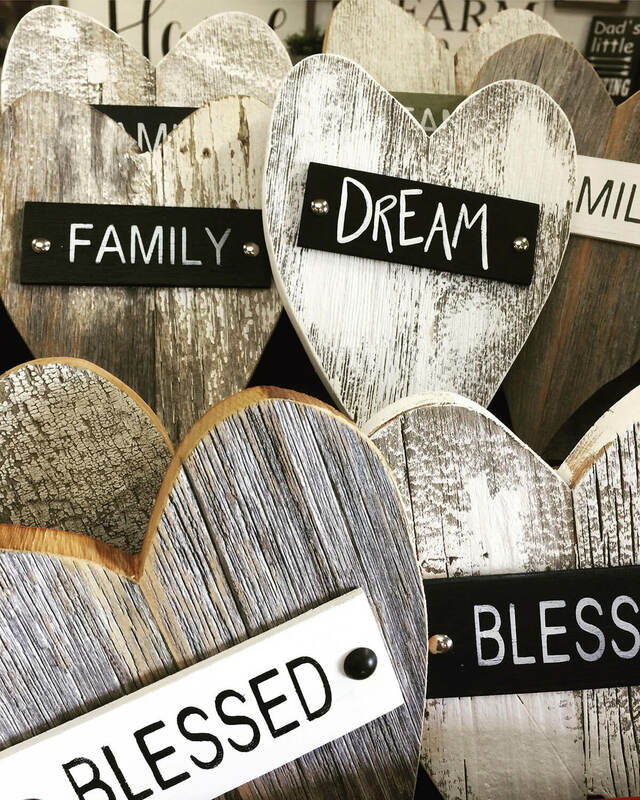 Paint a heart sign with a downplayed grey, taupe or silver shade for a set of antlers and glue stained wood flowers into place. Bouncy script underneath makes for the perfect finishing touch on this sign! Clothespins have nearly lost their functional value but are taking over the craft world by storm. 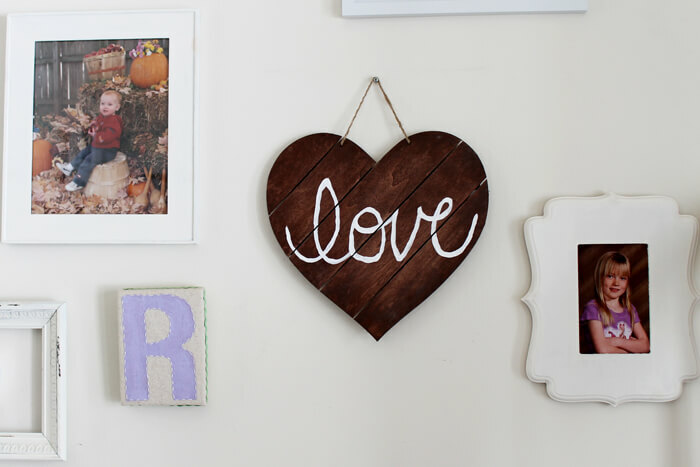 Use a clothespin to complete this rustic wooden heart to hang your pictures anywhere. Use irregular heart shapes to show that you and your significant other are a little different than other couples. A super sharp, pointed heart with a top rounded off with twigs blends unique shapes with contrasting materials for a subtle statement. Use a color profile to create a gradient from light to dark across this heart sign. 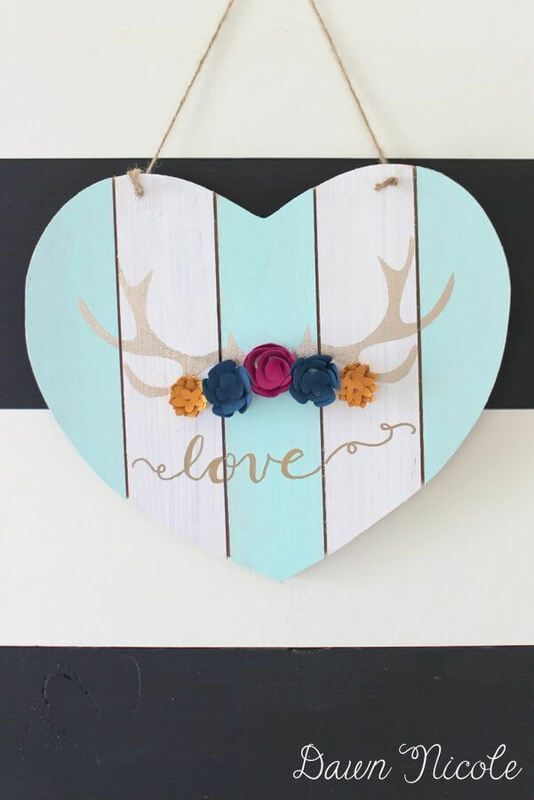 Embellish the sign with crepe roses, mini wooden hearts, and script for a beautiful sign. Then, make it functional by adding clothespins to hold up your photos! Another project that only calls for a hot glue gun and a bit of patience. 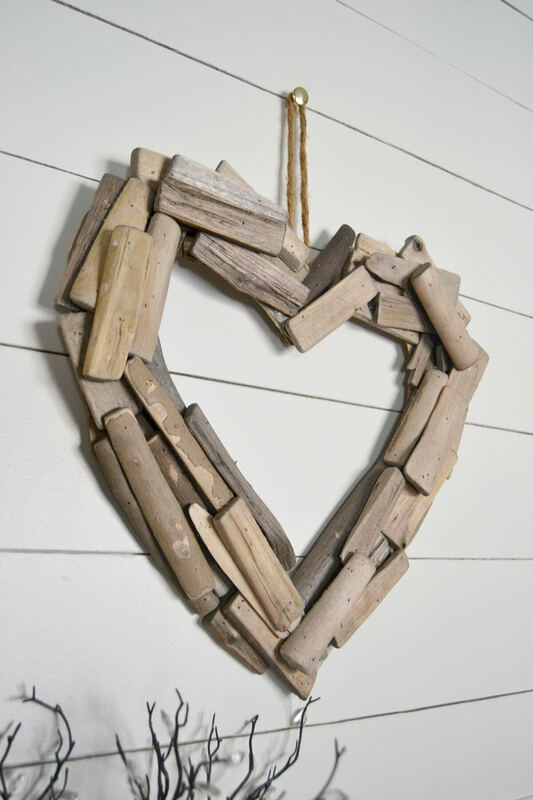 Use wood chips or driftwood for a chipped and worn look. Don’t stain or paint these chips either as it will take away from the rustic charm. 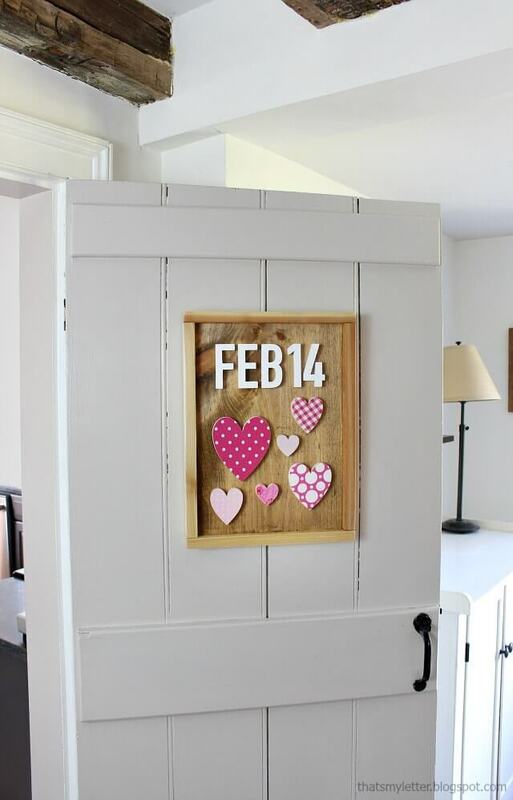 This lovely rural wood heart DIY project and idea is an excellent way to commemorate special days in your relationship. 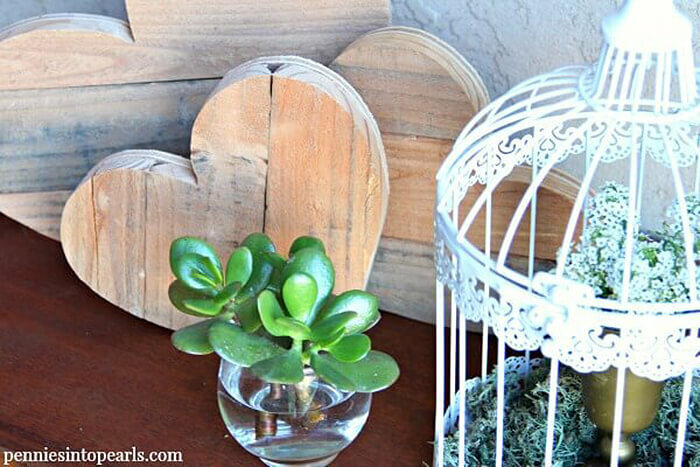 This project is among the most lovely rustic wood heart DIY projects and ideas you could find. 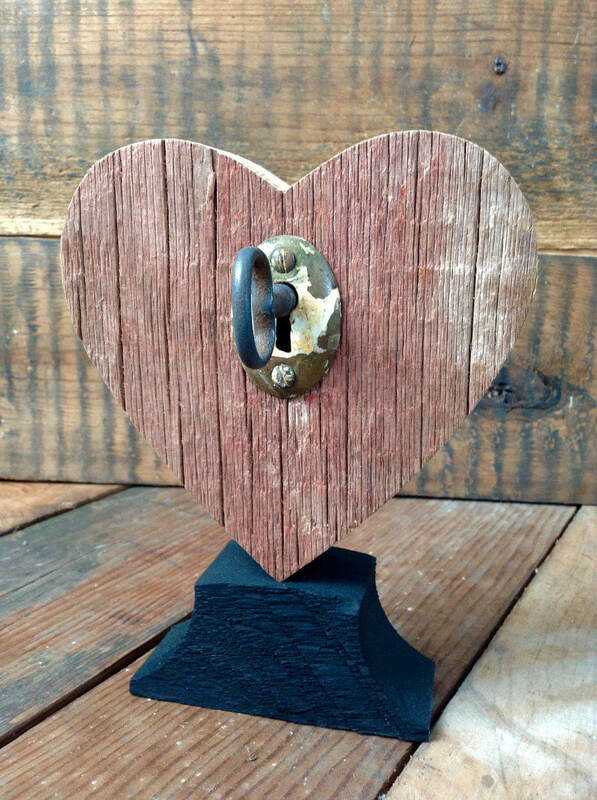 Using two pieces of wood and a heavy, antiqued lock and key embellishment you can create a bit that will spark discussion and joy in your home. 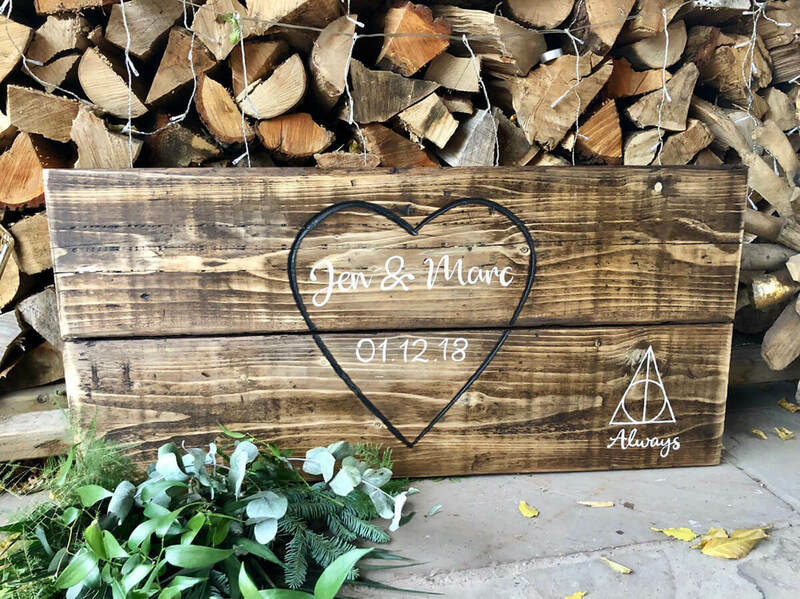 Use paint or wood burning tools to create this rustic wooden wedding sign on your own. Center the heart for a balanced feel but use the space in the side to incorporate small but meaningful messages for you and your soon to be spouse! Sweethearts candy’s get stale but these hearts won’t. Use leather and stamps or purchase premade statement strips and pin them down onto distressed wooden hearts. This weekend project requires little crafting and a tiny bit of assembly. The result is a wonderful heap of loving reminders. 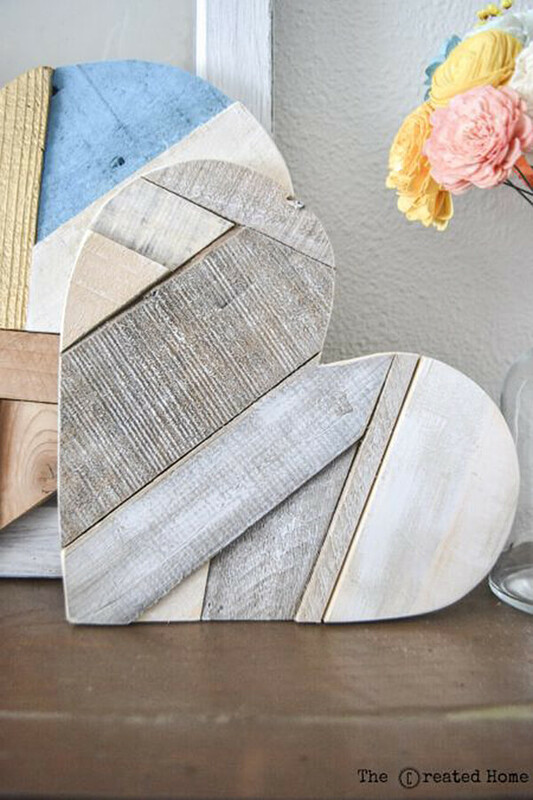 Using a few forgotten 2x4s and a wood burning gun you can make your heart sign that is nothing like you could find in any home decor store. After you create your impression on the wood use LED light strips or string lights to light up your sign. Feed the end of the lights through the back of the sign to keep any unwanted wires or excess lights out of the way. Rustic theme weddings often make for many rustic themed favors for years to come. Anniversaries will often adopt the theme, and soon enough the couple will have tons of rustic reminders of their big day. Without a doubt, these are the best (and easiest) DIY wedding favors or personalized ornaments that have any wooden charm. Using a thin piece of cardboard or even better a wooden pallet, glue tree rings, and branch trimmings into place creating a completed puzzle of wood. 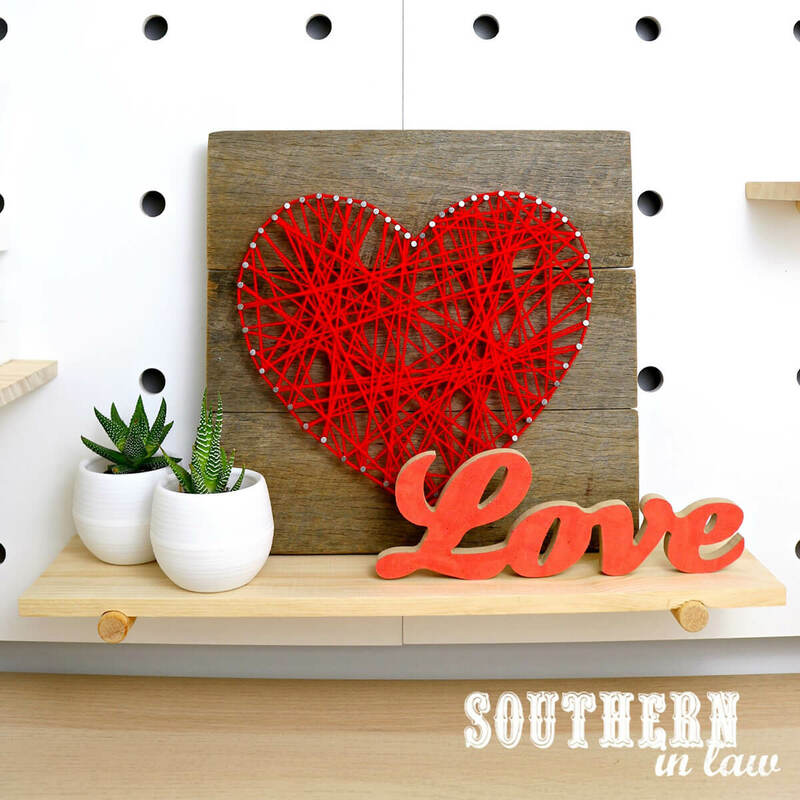 The charm makes this heart piece an excellent topper for any command center, or it can fit nicely as a center of attention in the living room decor. Photo frames are expensive, but they’re so easy to make. 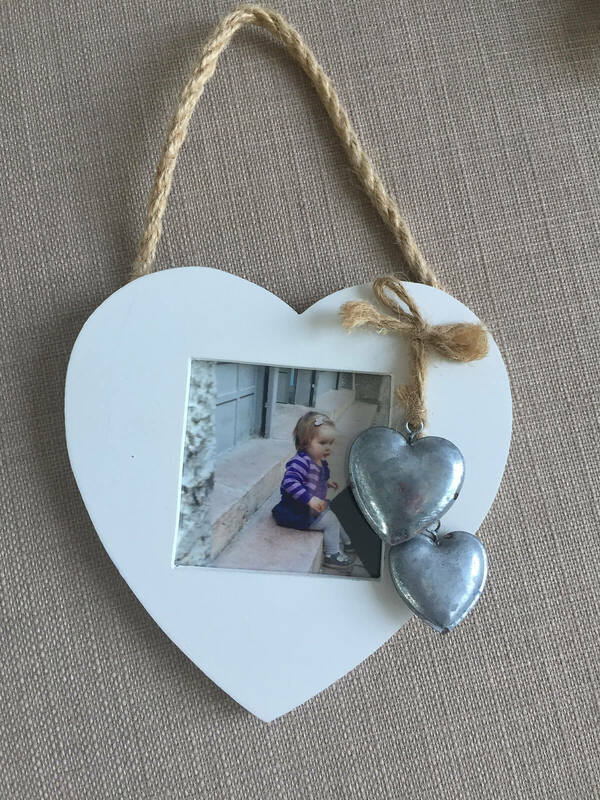 Create your unique photo frame like this with a loving heart shape and tiny hearts to play up the memory. This tiny photo frame will fit perfectly into any house and is perfect for capturing tiny moments.